Good quality printing with cotton material. Cherlene, every bid increment is RM 2. So the next higher bid would be RM 26. Congrats Sarah. 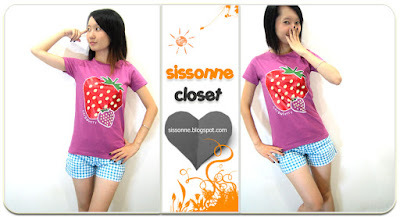 Strawberry tee shall be yours for RM 24.